This afternoon J.A. Happ won his 7th game of the year which brings his record to 7-0. The last Phillies pitcher to go 7-0 was Mike Grace back in 1995. Grace only lasted 5 years in the majors and hasn’t been seen much since 1999. I actually met him in Harrisburg along with Scott Rolen back in the mid-90’s while attending a card show and still have the baseball he signed. 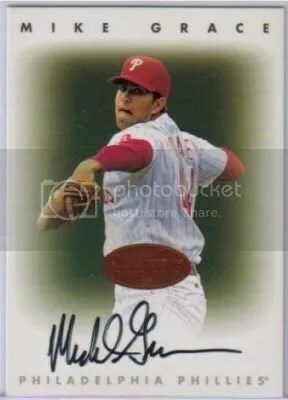 Right now, Happ’s cards are on fire and doing a quick eBay search will yield some interesting/expensive finds. Searching for cards of Grace won’t provide much to look at. Grace’s 1996 Leaf Signature autograph is probably his most valuable card. So far Happ’s career is going great. I really hope he doesn’t end up like Mike Grace. All the Phillies have to do is win one more game and then they head to the World Series. So far my prediction of the Phillies and Rays is looking good. Last night was such a good game. 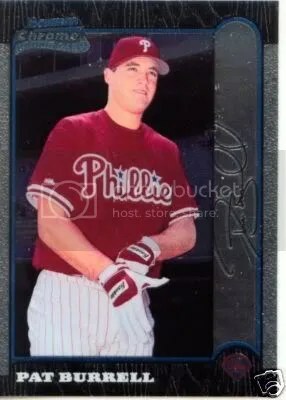 One of the best things about the Phillies getting this far is that a lot of Phillies cards you don’t see very often start hitting the market, which is great for Phillies collectors because now you can snag them up. I have been watching the Phillies for a long time, and this has to be the best season in awhile. 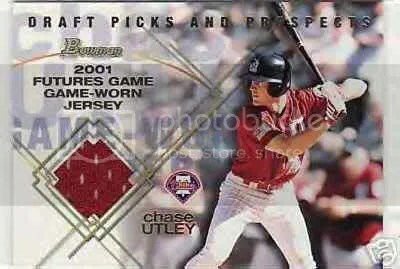 Thanks to Chase Utley, Pat Burrell, and Shane Victorino the Phillies were able to come out ahead last night and beat the Dodgers 3-2. Only three more wins and the Phillies head to the World Series!!!! 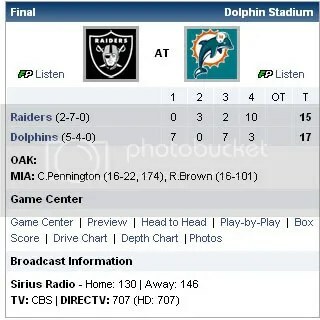 At least they won sooner than last year. That has to be a good sign.